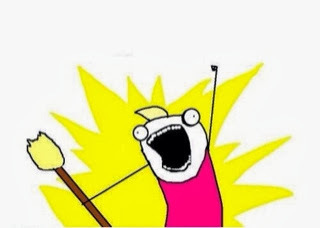 It’s almost the fourth Sunday of Lent you say? Oh Lent where hath thou gone? Here are #7QT on what the first half of Lent has brought with it thus far…. Like good Catholics we properly kicked off Lent without the #ashtag. 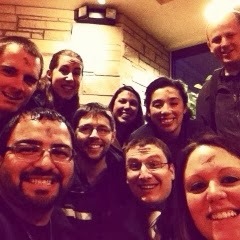 Props to my friend Omar for getting this awesome selfie of some of our young adult family after the Ash Wednesday Mass. You can clearly tell that we were stoked for this forty day journey (some of us more excited than others…). My hairdresser asked me “What do you and your husband do for fun?” To which I was only able to resond, “Netflix and thesis writing.” This has been our Lent. Books, writing, trying not to feel defeated, and taking breaks with Arrested Development. The blessing in all of this is that not only are my husband and I in the same graduate program, but our thesis topics are kinda-sorta-not really related. I’m focusing on New Feminism and Developing a Theology of Women, and my husband is writing about The Masculinity of God (or why we call God “He”). Blessed John Paul II, Dr. Pia de Solenni, Dr. Monica Miller, and others have been huge helps in these projects. My love for JPII and the Theology of the Body just keeps growing… and since our final project is due around the same time as his canonization, I figure we’ve got someone praying extra hard for us in heaven :). And we’d really appreciate all of your prayers as well! Did you know she takes care of knots too? How have I been Catholic all my life and I am just now hearing about this novena? This is amazing! 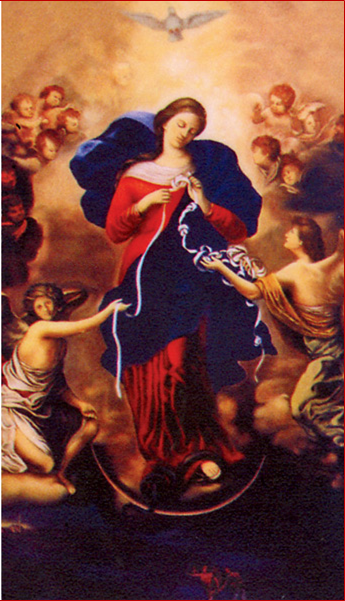 If you’ve never heard of the Our Lady Undoer of Knots Novena, check it out. 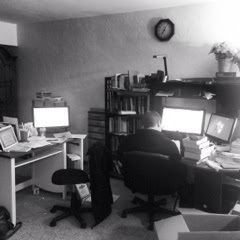 My husband and I are finishing up this novena this weekend, and our big intention has been our thesis projects. That knot is pretty huge right now, but it’s nice to know Our Lady is helping us work through it! Speaking of novenas, did you know there’s a 30 day St. Joseph Novena? Neither did I until this past February. That’s another new prayer that is going on my list of favorites. I won’t lie … that’s a long novena prayer… there were nights we weren’t sure we’d make it through the whole thing… but we did it! 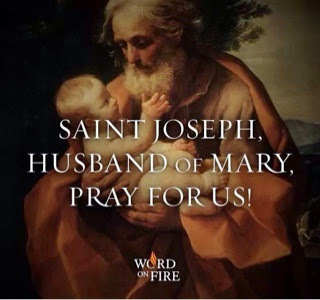 And we prayed for all sorts of things… our theses, the discernment of our family, family and friends, etc… St. Joseph is a pretty neat guy… Happy to add him to the list of patron saints for our family! 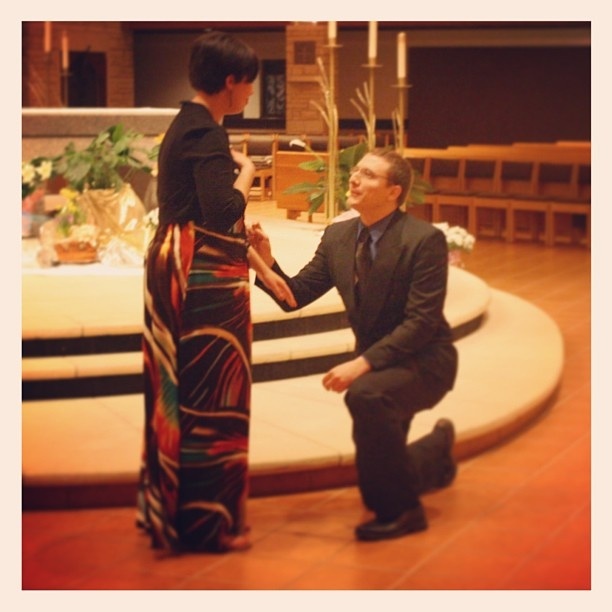 It’s already been a year! 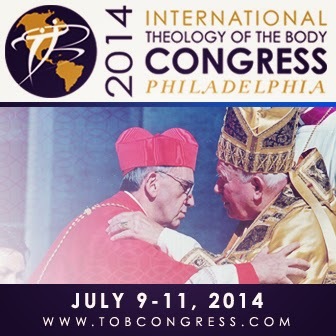 I’m going to the 2014 TOB Congress!!! I don’t even know how I can begin to put into words how excited I am about this trip! This is going to be one of the highlights of my summer, and a much needed booster shot after graduation. The speaker list is impressive… we’ll be hanging out with folks like Dr. Janet Smith, Christopher West, Damon Owens, and many others who have had a big impact on my formation. Theology of the Body has played a key role in my ongoing conversion and it’s a pretty big part of the work that I do in the parish. Another Deanna! 🙂 Nice to meet you as well. I'll keep you and your husband in my prayers. I remember when my Dad was in Deaconate formation and the support my Mom gave him throughout the process. When will he be ordained?